These guys were prompt, easy going just all around great people. Our water heater started leaking badly at 9:30 at night, We have 2 young children and a house full of water. The dispatcher walked me through turning the water off to the house, The service tech responded within 30 min after calling them. He came in with a shop vac and helped clean up the water, he also noticed a light bulb was out in my basement, went out to his truck and got a new one. He then gave us a set price to install a new water heater which he had on his truck as well! Cleaned up after himself, took the old water heater away and was done by 11:30pm!!! When I call a plumber at 9:30 at night I expect a guy thats half asleep in a t-shirt, These guys showed up uniformed and clean cut. 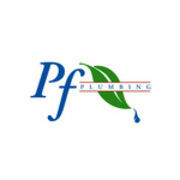 Outstanding job PF Plumbing! A little more expensive than some other companies but worth EVERY penny!! !